Yes, it's true! "Stereo Mix" is no longer required. You do not need to spend time searching right audio driver. You do not need enable "hidden" or "disabled" audio devices via Control Panel. i-Sound save free space on hard drive using real-time audio compression to most popular audio formats like MP3, OGG and WMA or lossless audio formats like WAV, APE and FLAC. If you wish to edit audio file after recording then you can use free sound editor add-on. 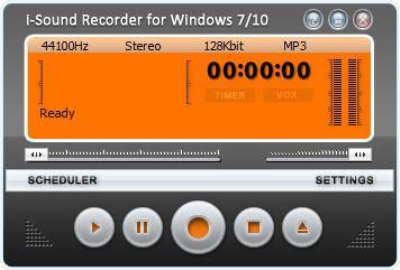 Just open recording browser, select your recording and click "Edit file in sound editor" button. First time it will and install add-on, next time it will load audio file to editor automatically.